Position statement. As the number of IEEE Computer Society members is shrinking and the overall financial situation is not significantly improving, a major change in the “mode of operation” of the Computer Society must be considered. For the past few years, the Board of Governors (BoG) was mainly focused on improving the financial situation of the Society, but now that the financial situation is stabilizing and it seems we are on the right track for recovering, we must start focusing on improving the services we are proposing, on becoming more relevant to our members and be attractive to many other colleagues so that they will join us. In order to achieve all these goals, I established an “Ad Hoc Committee on Growth” that already proposed several specific actions such as: (1) be more sensitive to the needs of emerging countries (e.g., translate titles, abstracts, and maybe even selected papers to other languages), to work with local technological leaders in order to understand their needs; (2) improve education and training programs for technology; (3) encourage innovation and be more relevant to younger generations of researchers and developers; and (4) expand the industrial involvement and to combine it with our educational and academic activities. The main reason I ask to be elected as a second vice president of the IEEE Computer Society is to allow me having more means to achieve these goals. Since the President of the Society and the first vice president are mainly focused on the operational aspects of the Society, I believe that if elected, I could work closely with them and make sure that the “Growth” related activities will continue to be considered as top priority of our future activities. Biography. Avi Mendelson is a member of the IEEE Computer Society Board of Governors (BoG). He is an IEEE Fellow and visiting Professor at the Technion and at NTU Singapore. Mendelson has a blend of industrial and academic experience in several different areas such as Computer Architecture, Hardware Security, Hardware Accelerators, Power Management, Reliability and HPC. He graduated from the CS department, Technion, BSC and MSC, and got his PhD (1990) from University of Massachusetts at Amherst. Among his industrial jobs, he served as the manager of the academic outreach program at Microsoft R&D Israel where he initiated different innovation-based activities among students. Before, he worked for 11 years as a senior researcher and Principle Engineer in Intel. Among his achievement in Intel, he was the chief architect of the CMP (multi-core-on-chip) feature of the first dual-core processors Intel developed. For this work, he got the Intel Achievement Award (IAA, the highest award at Intel). Among his academic activities he published more than 130 journal and reviewed conference papers, he co-invented the notion of “value prediction” and made major contributions to the field of computer architecture. He has served as a Computer Society BoG member since 2017. He initiated and ran the “Ad Hoc Committee for Future Growth of the Computer Society,” he serves as the chair of the Transactions Operations Committee (TOC) and as a member of the several other IEEE Computer Society committees. Mendelson served a full term as an associate editor of the IEEE Computer Architecture Letters (CAL)journal and currently serves as an associated editor of the IEEE Transactions on Computers. As part of his volunteering activities for the IEEE he also served as a member and as the head of the selection committee for the Eckert-Mauchly award. Position statement. The Computer Society is in a trying time. The financial realities require strict adherence to principles of frugality while entertaining methods of expanding our fiscal stability. I believe that identifying ways to be a better steward of the Computer Society resources while finding new ways to reach out to meet the needs of the membership is required. Reducing expenses cannot be the only solution, however, we should maintain a budget, avoid new debt, and save against a time of shortfall. We need to articulate the value proposition of the Computer Society to its members to engage them in not only contributing to Conferences or Publications, but realizing the support of the members’ career paths. Having served on a variety of committees, I have seen firsthand the need to use open ears and limited opinion to find consensus. Committee meetings should be able to find a consensus of the group by hearing the variety of options and then applying a judgement to find a consensus point. Members of the committee should remain focused and concise in expressing their viewpoints. I believe that my experience has given me the tools to help facilitate progress in hearing all points of view and then making a decision which will be for the benefit of the society. I look for your vote in support of this opportunity to shape the future of the Computer Society. I believe that values can be understood, solutions can be found, and together a stronger organization will be achieved for the benefit of the members. Board Vice Chair, the 2014-2015 ProCom Chair and the 2011-2013 NesCom Chair. He served as a member of the 2016 Communications Society Standards Development Board. He currently is a member of RevCom (2009; 2017-2018) and is the IEEE-SA Liaison to the IEEE Technical Activities Board (TAB) (2018). For 3 years, Rosdahl was Vice-President of WiMedia Alliance and the Treasurer of ZigBee Alliance and held leadership roles in the I2O SIG. He has also served on the Utah State University Electrical and Computer Engineering (ECE) Industry Advisory Committee for 19 years. Rosdahl has worked on networking, computer, and communication projects throughout his career while working for Novell, Micro-Linear, Vernier Networks, Samsung, and CSR Technologies. He has worked as a software engineer, a technology team leader, manager, and standards engineer. He is currently employed by Qualcomm Technologies, Inc., as an Engineer, Senior Staff. 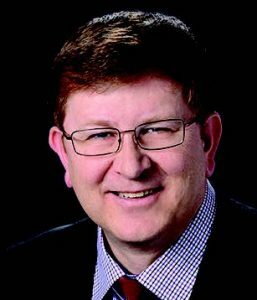 Rosdahl is an IEEE Computer Society Golden Core Member (2017). He has volunteered and received numerous recognition from the Boy Scouts of America over the past 30 years. Rosdahl holds a Masters of Engineering, Electrical Engineering (ME EE) (1990) and a Bachelor of Science, Electrical Engineering (BS EE) (1989) degrees from Utah State University.